Costa Rica is recognized around the world as an attractive destination for ecotourism. However, since the 1990´s a large-scale coastal tourism model has been implemented in the country’s Pacific coast. This model, based on cruise ships, resorts, golf courses, residential tourism, real estate speculation and marinas, has ever since generated serious environmental and social impacts. The Crocodile Bay - a luxury sport fishing resort in Puerto Jiménez on the Osa Peninsula in Puntarenas - already has a dock for its fishing boats, but it is currently looking to expand to a large marina. In addition, Crocodile Bay plans to build 84 luxury villa, a parking lot and a “Waterfront Marina Village” that will include shops and restaurants. The particular ecological characteristics of the area and the scale of the construction are the principals reasons why locals communities and NGO´s (such as Fundación Neotrópica and Conservación Osa) are strongly opposed to the Marina. According to the expansion plans, the Marine will be located on the Osa Peninsula, the most biologically diverse regions in Costa Rica. This area is cataloged as one of the four tropical fjords in the world and it is located very near the Refugio de Vida Silvestre Preciosa Platanares, which is a protected area. In 2006, the Crocodile Bay Public Limited Company started the process to acquire the construction permits and in 2008 they obtained the necessary environmental permits. However, in 2013 Fundación Neotrópica and Conservación Osa, together with Alvaro Sagot, an environmental lawyer, filed a complaint with the Constitutional Chamber of the Supreme Court, arguing that the zoning management plan had been carried out by Crocodile Bay in 2004 and had been approved by the Osa local government and the Costa Rican Tourism Board without the approval of the Environment Ministry’s National Technical Secretariat to advantage the interest in the Marina building. 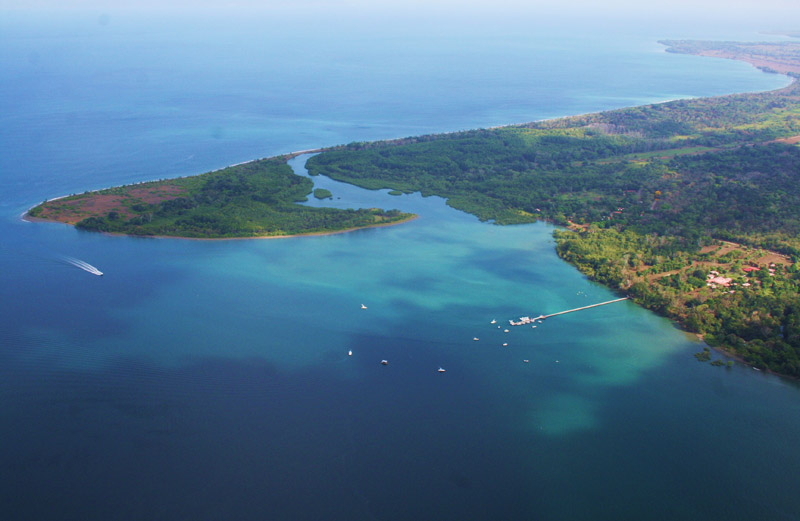 Apart from challenging the Crocodile Bay Marina Project, the civil society group also opposes a marina draft law that would favor private interest in Costa Rica’s coastal areas. The construction of the project has been brought to a halt and currently awaits the final court decision. - “Waterfront Marina Village” that will include shops and restaurants. -In addition Crocodile Bay wants to build two hotels: El Ceibo in a 86,000 m2 construction area, 30 buildings, 270 rooms, 6 pools and 2 tennis courts. And Las Rosas located within the maritime zone, have 10,000 m2 of construction, 26 buildings and 104 rooms. Other significant increase in tourists that threatens local culture, direct affectation to artisanal fishermen, increases in property taxes and the cost of life produced by real estate speculation, increased in water demand. Development of Alternatives -Another way of tourism : ecological and community based tourism. Why? Explain briefly. The project is temporarily suspended and the complaint made by Fundación Neotrópica and Conservación Osa arguing that the zoning management plan was illegal was victory for the environmental justice. Revista Ambientico (2013). Soportaría el Golfo Dulce una marina?